Dean Fournaris is a franchise and distribution lawyer who has represented public and private franchisors, licensors, manufacturers, pharmaceutical companies, distributors and developers in matters across the country. Mr. Fournaris focuses his practice on developing, structuring and maintaining franchise and distribution networks, transactions and contracts involving franchise and distribution systems, franchise registration and disclosure, manufacturing and operating systems and standards, and other related regulatory and transactional matters. In his practice, he regularly advises franchise and distribution system clients in connection with all aspects of their franchisee-distributor, customer, supplier and competitor relationships. Mr. Fournaris has also prosecuted and defended cases, including injunction actions, before state and federal courts and arbitration panels on behalf of franchisors, manufacturers and distributors. 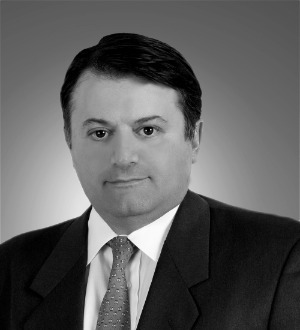 Mr. Fournaris has been listed in Best Lawyers in America for franchise law in 2007, 2008, 2009 and 2010. Mr. Fournaris is a member of the American Bar Association's Forum on Franchising and serves currently on its Publications Committee. He is a founding member of the Franchise Law Committee of the Philadelphia Bar Association and served as its Chair from 2003-2007. Mr. Fournaris graduated from Franklin & Marshall College with a Bachelor of Arts degree in 1988 and earned his Juris Doctorate from Cornell Law School in 1991.